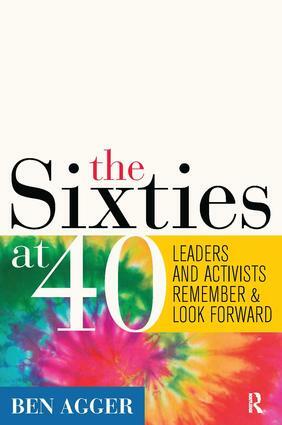 Based on recent interviews, this unique sixties book brings together the voices of the Left leaders who spawned the sixties movements. Many remain activists today, and experience and the passage of time allow them to transcend nostalgia to form more realistic perspectives on past, present, and future. They discuss the civil rights and antiwar movements, the political outcome of the sixties, patriotism, terror, and the role of young people in the future. Important gains were made during the sixties, but there were many setbacks, too, that influence today's voters, leaders, candidates, and our day-to-day realities. The sixties of this book are not simply a sweet memory of marijuana and album rock; there were many casualties, including innocence and youthful idealism. Agger concludes with reflections on the possibilities of a next Left, which was already faintly visible in young people's massive support of Obama's presidential candidacy.